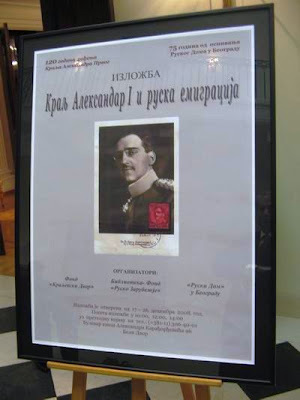 The 120th aniversary of the birth of King Alexander I of Serbia is marked with a special exhibition at Belgrade’s White Palace. The exhibition looks at the influence Russian immigrants have had on Serbian society, as King Alexander (Aleksandar) encouraged Russians to come to the kingdom of Serbs, Slovenes and Croats. King Alexander I (1888-1934) was considered to be a big friend of the Russians, given that a lot of Russians moved to Serbia after the civil war and revolution in Russia due to the King’s especially favourable policy. The Russian immigrants saw in the young King their protector and patron. The goal of the exhibition ‘King Alexander I and the Russian emigration’ is to represent all aspect of influence Russian emigrants, under patronage of King Alexander, made on Serbian culture, art, spirituality, science and education in the Kingdom of Yugoslavia in 1920s and 1930s. 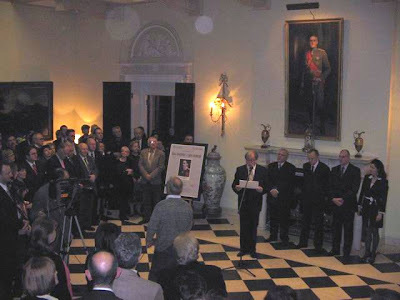 The exhibition can be seen at the White Palace 17-26 December 2008. 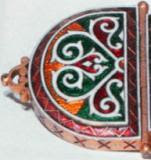 The exhibition is open for visits at 10, 12 and 14 h, with prior announcement to the Office of Crown Prince Alexander II. 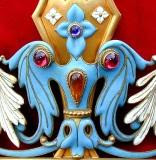 All the way over here in New Jersey, I can say that in my parish of the Russian Orthodox Church Outside of Russia, some of our pomyanniki (prayer books) still have people praying for the soul of Alexander I. He is still much loved. May God save the soul of his servant, Alexander, King of Serbs, Slovenes, and Croats!